Acute kidney injury (AKI) is a severe complication of hemolysis, elevated liver enzymes, and low platelet count (HELLP) syndrome. However, renal pathological investigation of AKI in this syndrome has rarely been reported. 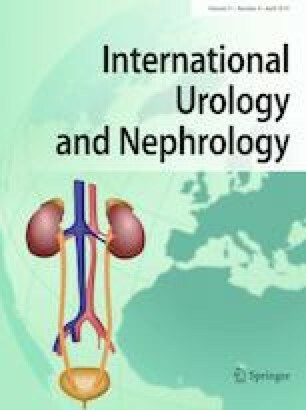 We aimed to evaluate the renal pathological changes of persistent AKI and its relationship with renal outcomes in HELLP syndrome. Women with HELLP syndrome who had a renal biopsy because of persistent AKI were investigated. The cases describing renal pathology of AKI in HELLP syndrome reported in PubMed were also reviewed. Among the 41 patients diagnosed with AKI complicated by HELLP syndrome, 6 patients had renal biopsy. Four of these patients had anuria and required renal replacement therapy. Renal histopathology showed thrombotic microangiopathy (TMA) that coexisted with acute tubular necrosis (ATN) (3), acute renal cortical necrosis (ARCN) (1), and glomerular disease (2). Two patients who had ARCN and ATN with TMA lesions developed chronic renal dysfunction. Ten cases reported in the literature showed ATN (4), TMA (1), TMA with ATN (1), ARCN (2) and mesangial proliferative glomerulonephritis (1). All of them required temporary renal replacement therapy. Two patients developed chronic renal dysfunction including one patient with ARCN. ATN was the most common finding for persistent AKI in HELLP syndrome. Patients with ARCN or TMA with ATN may have the potential to develop chronic renal dysfunction. Renal biopsy should be performed in patients with prolonged AKI to determine the renal prognosis and guide the appropriate treatment. We are indebted to staff from the Department of Gynaecology and Obstetrics at the Peking Union Medical College Hospital for treatment and diagnostic support. We also thank Jodi Smith, Ph.D., from Liwen Bianji, Edanz Editing China (www.liwenbianji.cn/ac), for editing the English text of a draft of this manuscript. The research protocol was approved by the Ethics Committee at PUMCH. All procedures performed in this study were in accordance with the 1964 Declaration of Helsinki and its later amendments or comparable ethical standards. For this type of study, formal consent was not required.